Established in 1972, the St. Lawrence Valley Dog Club is a nonprofit dog club dedicated to the responsible ownership of all dogs. We are an American Kennel Club licensed club and welcome owners of both purebred and mixed-breed dogs. The club regularly holds classes and sponsors AKC trials which focus on agility, obedience, and rally. May Obedience/Rally Trials have been scheduled for May 4-5, 2019. Judges will be Karen Wrey of Stormville, NY and Kate Darbyshire of Cornwall, Ontario, Canada. SLVDC will offer all regular and Preferred Obedience classes and all Rally classes. Don’t wait until the last minute to enter. Our Obedience trials are limited to six hours each and our Rally trials are each limited to two hours of exhibition time. 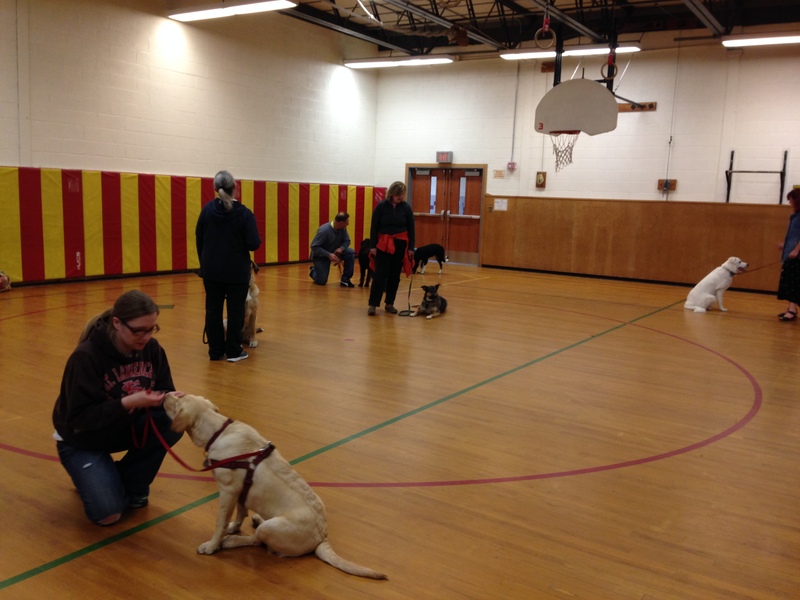 Spring 2019 obedience classes will begin with Registration on Tuesday, April 2nd, 2019 at the Potsdam Elementary School gymnasium. Puppy and Adult Beginner, Advanced Beginner/Novice Trick Dog, Canine Good Citizen (CGC) Prep , and Rally classes will be offered depending upon demand. See “CLASSES” page for more information. This entry was posted in welcome on July 21, 2013 by stlawrencevalleydogclub.